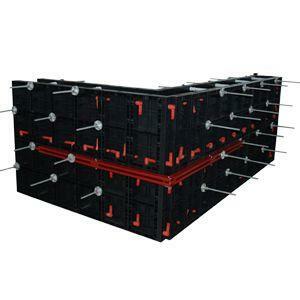 BOFU always endeavor to improve the formwork quality to satisfy most customers requirements. In order to make plastic formwork more strong and smooth, BOFU’s engineers work hard for long time and finally updating the raw materials to special ABS. ABS (Acrylonitrile-Butadiene-Styrene) is a general-purpose thermoplastic polymer. ABS performance characteristics: good rigidity, high impact strength, heat resistance, low temperature resistance, chemical resistance, mechanical strength and electrical properties, easy processing, dimensional stability and surface gloss, easy to apply, color, and secondary processing properties such as metal spraying, plating, welding and bonding . 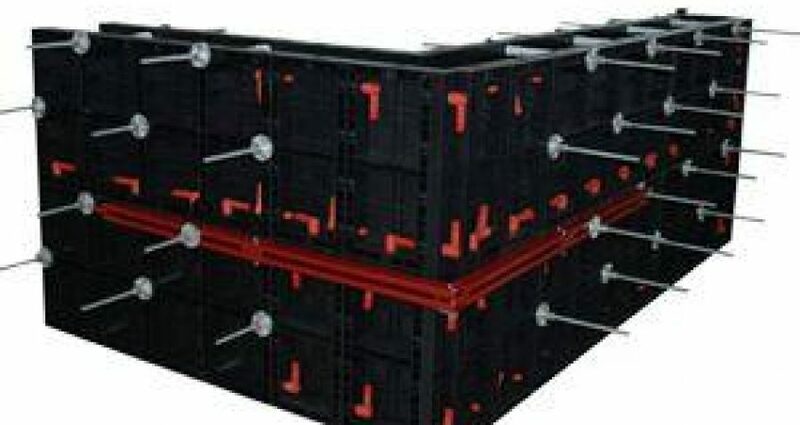 Because the characteristics of ABS combines the characteristics of its three components, it has excellent comprehensive performance and becomes one of the preferred plastics for electrical components, home appliances, computers and instrumentation. ABS engineering plastics are opaque and ivory-colored pellets, and their products can be made into colorful and high gloss. The relative density of ABS is about 1.05, and the water absorption rate is low. ABS combines well with other materials and is easy to surface print, coat and coat. ABS has an oxygen index of 18 to 20 and is a flammable polymer. The flame is yellow with black smoke and a special cinnamon flavor. ABS has excellent mechanical properties and excellent impact strength. It can be used at extremely low temperatures: ABS has excellent wear resistance, good dimensional stability and oil resistance, and can be used for bearings under medium load and speed. The creep resistance of ABS is larger than that of PSF and PC, but smaller than PA and POM. The bending strength and compressive strength of ABS are poor in plastics. The mechanical properties of ABS are greatly affected by temperature. The heat distortion temperature of ABS is 93~118 °C, and the product can be improved by about 10 °C after annealing. ABS can still exhibit a little toughness at -40 ° C and can be used in the temperature range of -40 to 100 ° C.
ABS has good electrical insulation and is hardly affected by temperature, humidity and frequency, and can be used in most environments. With the new materials and advanced technology, BOFU plastic modular formwork might satisfy more customer’s requirement and occupy more market share.